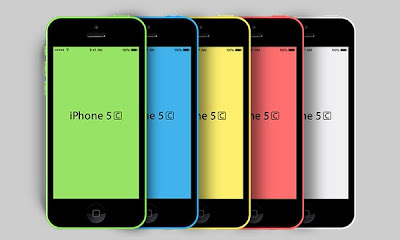 Friends, here’s a mockup set of the new iPhone 5C in green, blue, yellow, pink and white in fully scalable PSD vector format. Care has been taken to make them look realistic, and I hope this can be a very useful resource to showcase your iOS app designs. The PSD file contains the five iPhone 5C front view mockups organized in named folders.